For the first few weeks Sammy spent his time on top of a large cage that I used to give him some height as the dog and the cats and I walked by. Once I had to put him inside the cage when I had to make a long trip into town but the rest of time his first territory consisted of the top of the cage and the back of my chair. Posted on March 2, 2013, in Uncategorized. Bookmark the permalink. 1 Comment. 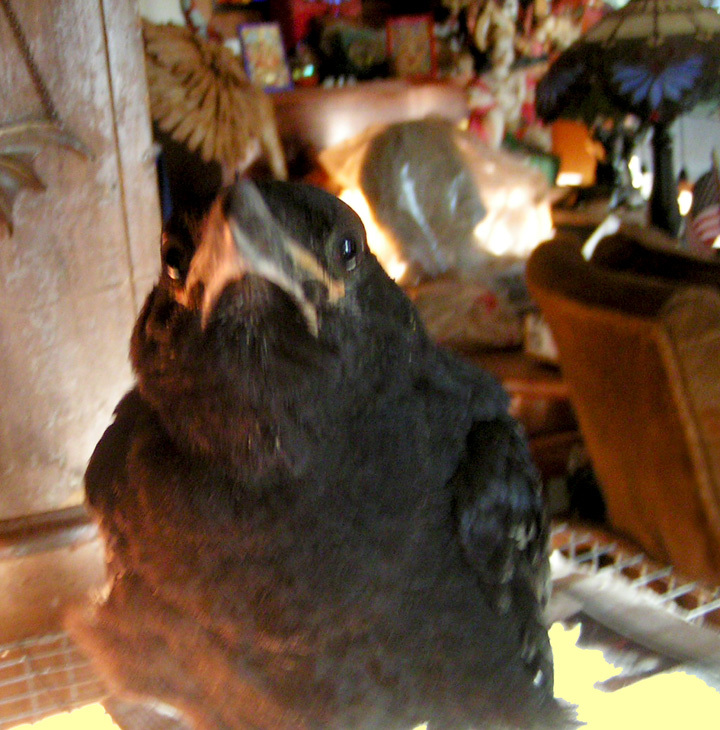 What a compelling story you’re sharing about how you saved, and are caring for this raven. It’s very kind, compassionate and thoughtful of you to take the initiative to help your new found feathered friend. I look forward to hearing more about the adventures, that unfold for both of you.